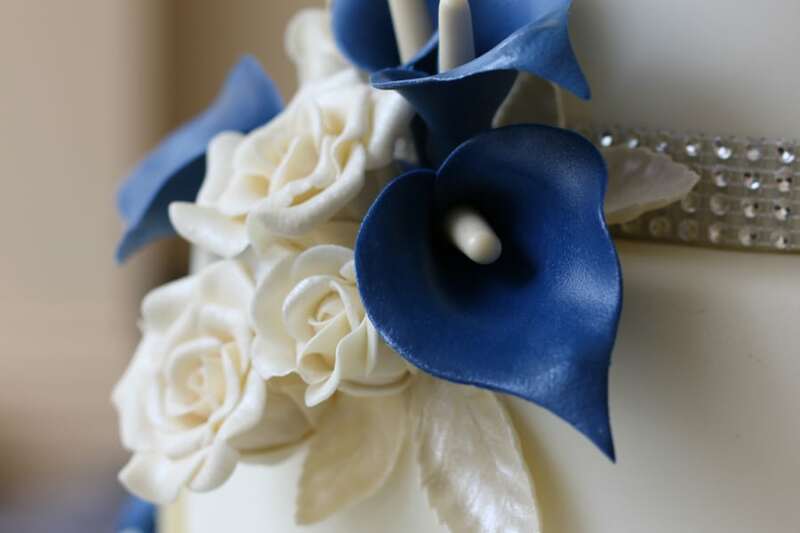 1) Choosing your wedding cake, along with your flowers, should be the last thing you decide on. You don’t want to choose your cake a year in advance then realise that it doesn’t actually fit in with your scheme, then waste time (and money) choosing something completely different. 2) The venue will be a factor when choosing your cake too. If it’s a grand, historic building with high ceilings a small cake will get lost, so something tall and elegant will capture the essence of the room perfectly. If your reception is in a barn you may like to consider having a cupcake tower or a pretty vintage/floral type cake. 3) When coming along to SFCakeCo for your consultation bring with you anything you think may inspire us e.g. a swatch of lace from your dress, a colour sample of your bridesmaids dress, an invitation or pictures of the flowers you’re having. They will help us come up with a design that will embrace all the elements of your wedding day and make your cake personal to you! 4) Mix it up! It’s no longer the case that you have to have the traditional fruitcake (although it might be nice to have one tier for the oldies!) each tier can be of different flavours – the possibilities are endless! We can advise you on flavours when you come to see us at SFCakeCo HQ.